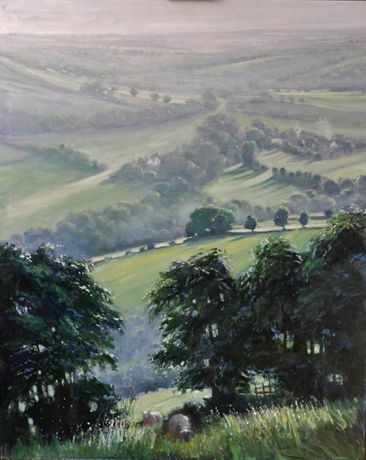 Ronald Moore has spent his working life as a picture restorer but, encouraged by those who admired his work, he started painting and now takes inspiration from Herefordshire's Golden Valley where he is based. His technique with oil painting is constantly evolving and his work is ever fresh. Ronald Moore is well known for his nostalgic paintings of Birmingham where he grew up. Large canvases reflect on the urban environment and industrial landscape of the early and mid 20th Century. He writes: "During the 1970s I worked part time as a paintings conservator then c 1980 made it a full-time business employing several staff. I have worked for many museums and private collections and have restored many hundreds of war-damaged art and many paintings damaged by fire and water. Much of my work has been for noted country house collections. My primary conservation interest has been in early Italian and Netherlandish art which were also my special art history subjects at the Courtauld and I have continued to study this exciting early time in art history. 1980s I made a two year study of Egyptian shabtis and amulets together with middle Egyptian hieroglyphs and in recent years I have studied early Romanesque carving in England partly based on my own collection. I advise a number of auction houses on attributions and many private collectors on art buying. 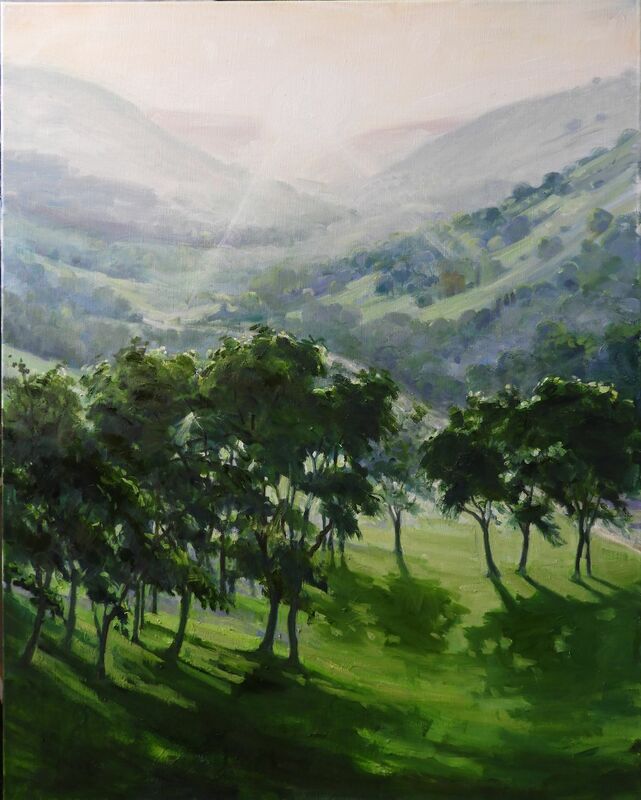 I have continued to paint during this time but several years ago decided to reduce my work load and I now paint every day working on selected conservation projects. " 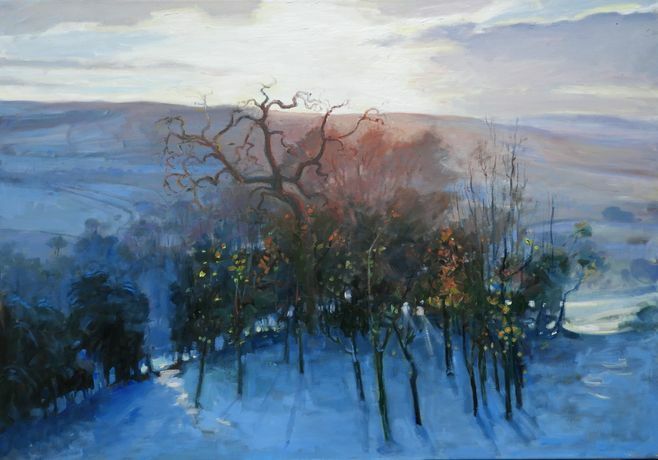 This exhibition concentrates on the rural landscape in which he now paints and reflects the seasonal changes and the impact of man's activities on it.